Preserve Vision Florida will honor Joseph W. Lopano, Chief Executive Officer of Tampa International Airport, as the 2017 Person of Vision at the Person of Vision Award Dinner on Monday, February 13 at the Tampa Airport Marriott. Preserve Vision Florida hosts the annual dinner to honor a person of vision who has had a profound impact on the region or state of Florida through true community leadership and vision. Previous honorees have included Tampa Maybor Bob Buckhorn (2016), Jeff and Penny Vinik (2015), Betty Castor and US Representative Kathy Castor (2014), and many other luminaries. 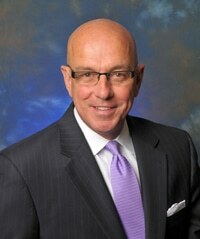 Joseph W. Lopano was appointed CEO on January 1, 2011, as Tampa International Airport’s new Chief Executive Officer. He has worked 37 years in the aviation industry. Prior to accepting the CEO position in Tampa, he worked at the Dallas/Fort Worth Airport for 14 years as its Executive Vice President for Marketing and Terminal Management. His experience also encompasses 19 years in the airline industry, including serving in leadership positions at Continental Airlines. Joe serves on the boards of the Greater Tampa Chamber of Commerce, Visit Tampa Bay, the Westshore Alliance, the Tampa Bay Partnership, the Tampa Bay Defense Alliance, the U.S. Travel Association’s Gateway Airports Council and the Hillsborough County Metropolitan Planning Organization. He is a member of the executive committees for the Tampa Hillsborough Economic Development Corporation, the Airports Council International–North America U.S. Policy Board and the Tony Jannus Society. He is an Honorary Commander at MacDill Air Force Base, and was selected to participate in Leadership Florida. Joe was named Visit Tampa Bay’s 2015 Ambassador of the Year and received the 2015 Aviation Professional of the Year Award from the Florida Department of Transportation. View the list of previous Person of Vision honorees. The 2017 Person of Vision Award Dinner includes a private sponsor reception starting at 5:30 p.m. at CK’s Revolving Restaurant at the Tampa Airport Marriott. An opening reception will begin at 6 p.m., followed by the premier dinner and program, 7-9 p.m. The program includes recognition of past winners, toasts by dignitaries, an acceptance speech by the honoree, and brief comments about Preserve Vision Florida’s mission. 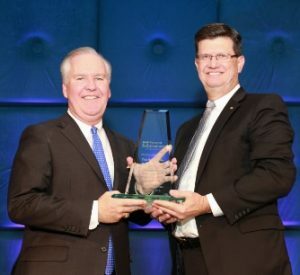 2016 Honoree Bob Buckhorn is saluted by Event Co-Chair, Kevin Bakewell. 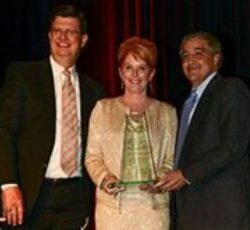 2015 Honorees Jeff and Penny Vinik, owners of the Tampa Bay Lightning, are congratulated by Event Co-Chair Kevin Bakewell (left), Senior VP and Chief Public Affairs Officer of AAA – The Auto Club Group. 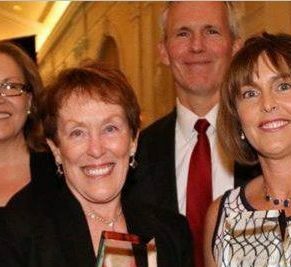 Event Chairs Lorna Taylorand Jim Davis congratulate 2014 Honorees Betty Castor and U.S. Rep. Kathy Castor. Preserve Vision Florida invites sponsorships for the dinner and offers individual tickets ($200) and individual patron tickets ($400) for this event. Proceeds from the evening will help fund Preserve Vision Florida’s programs.